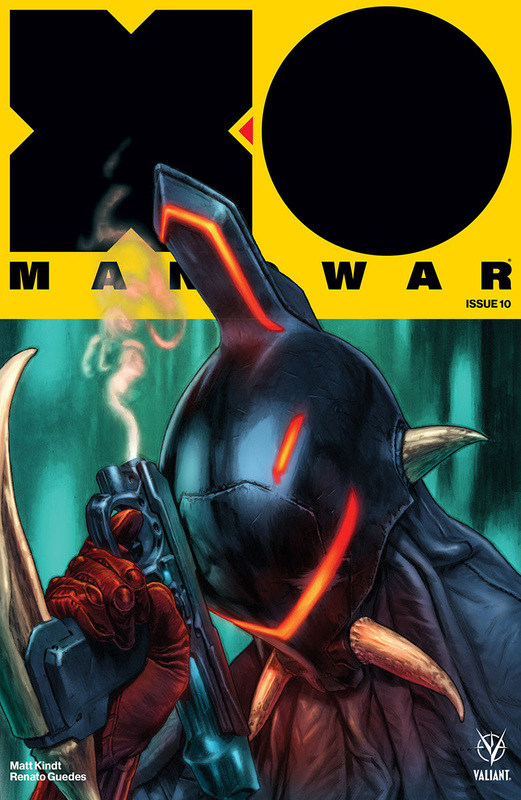 The Most Variant Cover of All Time! by CLAYTON HENRY, SPECIAL GUESTS, AND EVERY GIMMICK KNOWN TO MAN! 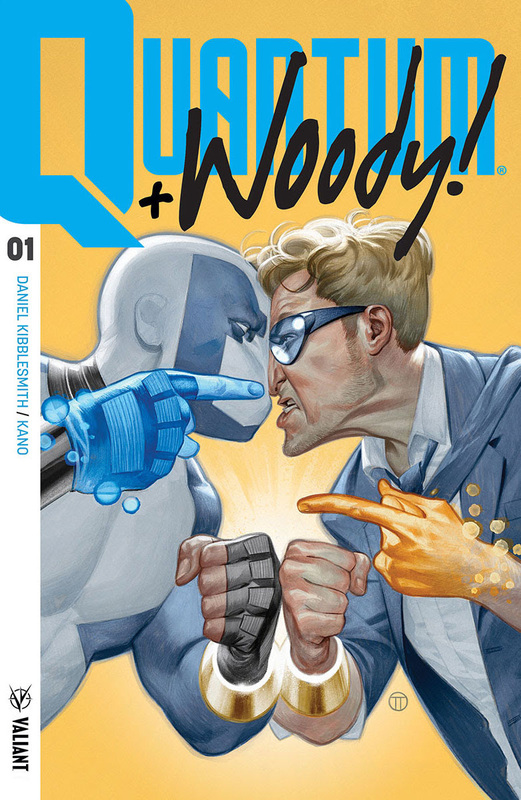 The QUANTUM AND WOODY! 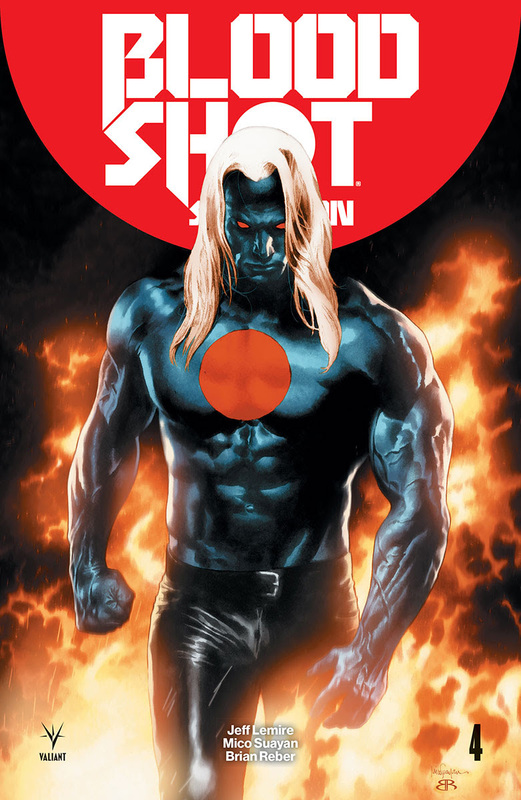 (2017) #1-4 PRE-ORDER EDITION BUNDLE – four massively expanded editions of Valiant’s explosive ongoing series – can only be ordered as a set and must be ordered with your local comic shop by the initial order date of October 26th, 2017! 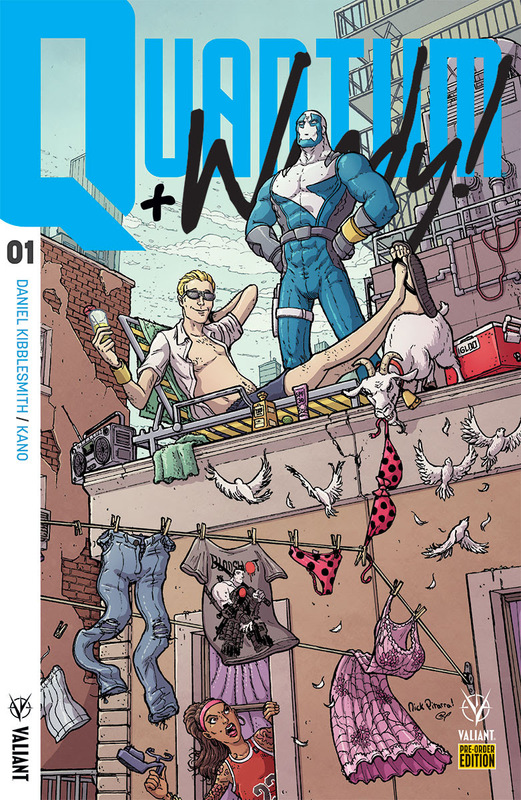 Released monthly from December 2017 through March 2018, each PRE-ORDER EDITION comes packed with trade paperback-style extras and bonus content, including creator commentary, behind-the-scenes looks at the creation of the comics, process character designs and artwork, and first looks at upcoming issues – plus exclusive covers by renowned artist Nick Pitarra (The Manhattan Projects) that can’t be found anywhere else! The only way to obtain these exclusive items is to pre-order all four issues with your local comic shop by the initial order date of October 26th, 2017! No more copies will be made available beyond that date and subsequent issues will not be offered in later solicitations! 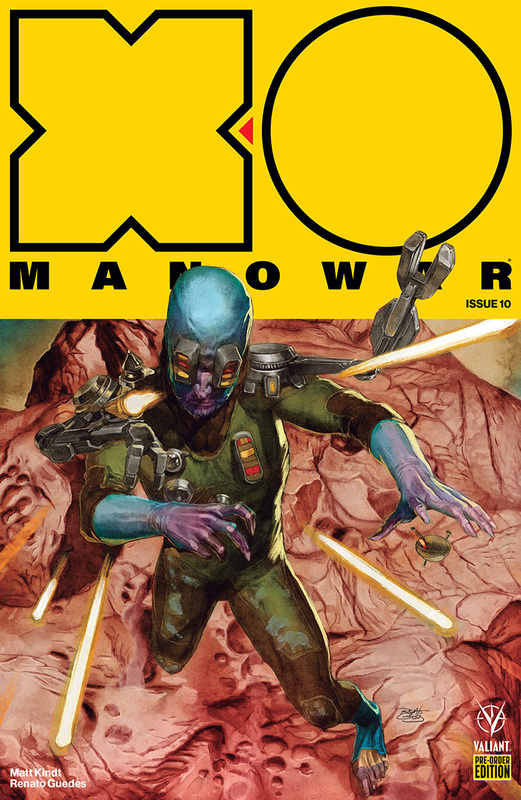 The X-O MANOWAR #10-14 PRE-ORDER EDITION BUNDLE – five 40-page, massively expanded editions of X-O Manowar’s next staggering story arc “VISIGOTH”, alongside two shocking standalone stories – can only be ordered as a set and must be ordered with your local comic shop by the initial order date of October 26th, 2017! 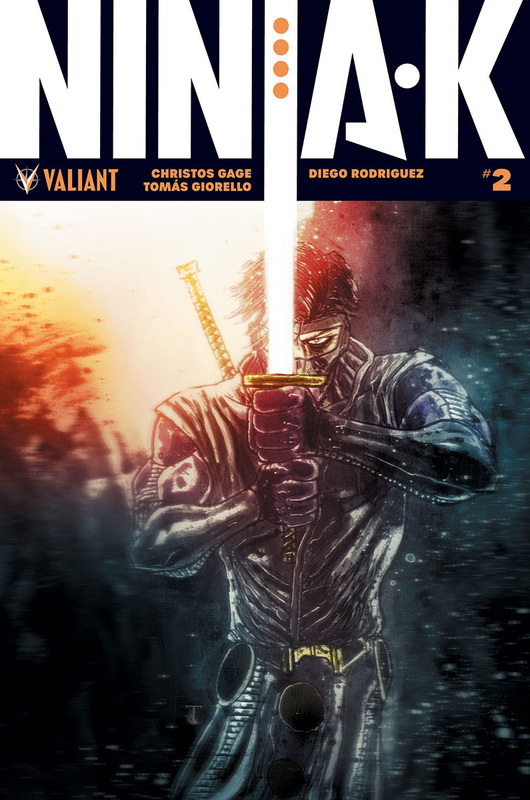 Released monthly from December 2017 through April 2018, each PRE-ORDER EDITION comes packed with trade paperback- style extras and bonus content, including creator commentary, behind-the-scenes looks at the creation of the comics, process character designs and artwork, and first looks at upcoming issues – plus exclusive covers by Renato Guedes (DIVINITY #0) that can’t be found anywhere else! The only way to obtain these exclusive items is to pre-order all five issues with your local comic shop by the initial order date of October 26th, 2017! No more copies will be made available beyond that date and subsequent issues will not be offered in later solicitations! 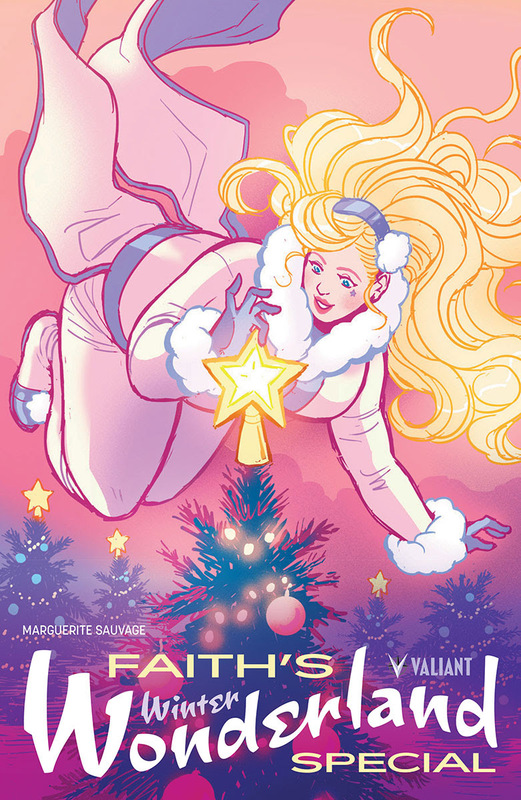 Eisner Award and Russ Manning Award-nominated artistic sensation Marguerite Sauvage (FAITH, Shade the Changing Girl) takes the helm for a fanciful tale of Faith Herbert’s very first holiday extravaganza! As cheer fills the air, Faith “Zephyr” Herbert is about to take a trip down the rabbit hole… and into a mind-bending winter wonderland where every day is something special! But hiding behind the tinsel, all is not what it seems… White rabbit meets red-nosed reindeer as Faith squares off against a realm of make-believe and merriment for a whimsical flight of superhero fancy, featuring the electrifyingly beautiful artwork of Marguerite Sauvage – one of the fastest rising stars in comics today! Faith “Zephyr” Herbert – former member of Unity, current Harbinger Renegade, and Los Angeles’ #1 superhero – is the universe’s last, best chance at survival! 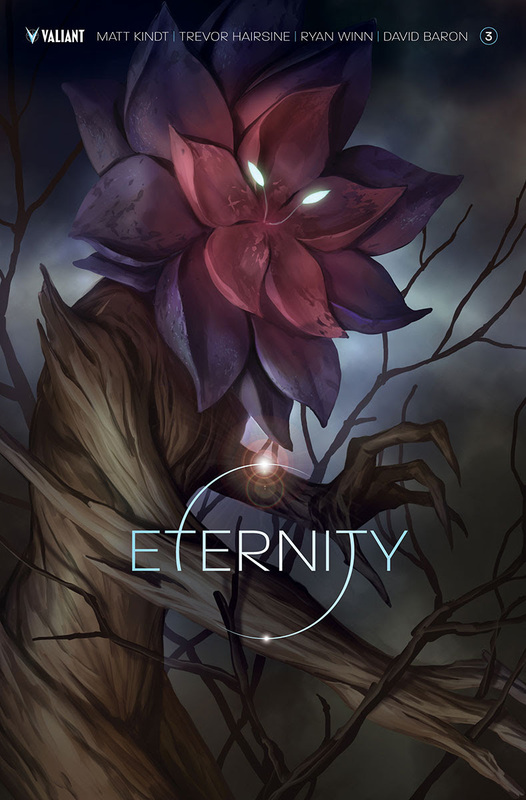 Centuries from today, a devious artificial intelligence has unleashed a blistering attack on the very foundations of time…one that is the unwriting history from beginning to end! Now, with her options exhausted, Neela Sethi, Timewalker – the self-appointed protector of what is and will be – has returned to the 21st century to recruit Earth’s greatest champions of today and tomorrow to oppose this existential threat…and she needs Faith to lead them! But why Faith? And why now? 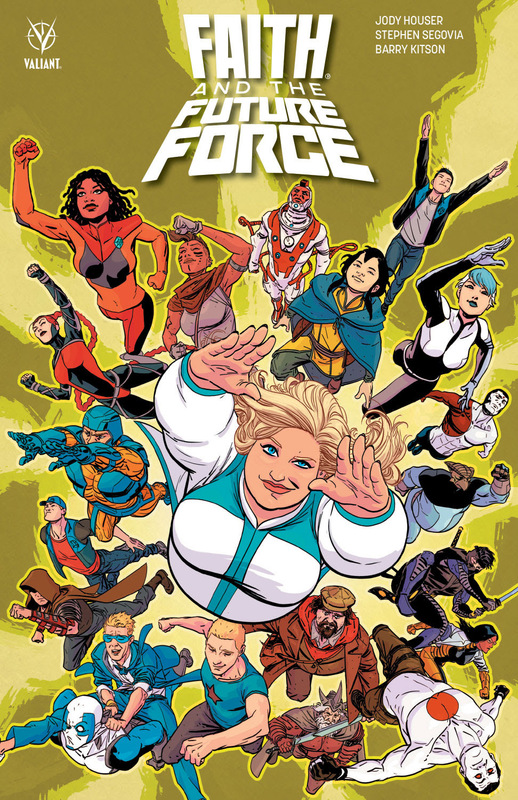 Collecting FAITH AND THE FUTURE FORCE #1–4. ‹ EuropaCorp TV Studios Acquires Rights for American Flagg!